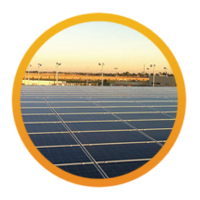 We are a nationwide solar maintenance company dedicated to increasing our global energy efficiency with clean and uninhibited solar arrays! We Specialize in Utility, Commercial, Residential Solar Cleaning, Vegetation Maintenance and Pest Prevention. 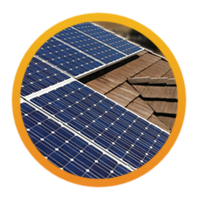 Solar panels should be cleaned regularly to maintain maximum energy efficiency. Environmental factors like exhaust, dust, pollen, bird droppings, and debris impact the cleanliness and therefore the energy efficiency of the solar panels. Shade from vegetation blocks the photons from the sun and greatly decreases production. Research shows that Photovoltaic (PV) panels that are cleaned and maintained on a regular basis can provide between 10% – 66% more energy. Protecting your investment by ensuring the modules are operating at their peak performance level is an important part in providing you with more power. Shine Up Solar started in Roseville, CA on Oct 10th 2010 when Jimmy Hodges saw the need for cleaning solar panels in a rapidly growing solar industry. Shine Up Solar had a goal and vision to increase the nation’s overall solar production efficiency. After 2 years of cleaning residential solar Shine Up Solar realized that there was a greater need in the commercial and utility-scale projects. 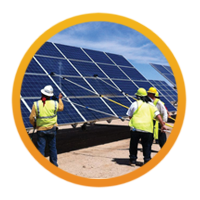 Shine Up Solar is now one of the largest full-scale solar cleaning and vegetation clearing companies in the nation. Our corporate headquarters started in Roseville, CA, and then moved to San Diego, CA in 2014 – Present. Shine Up Solar started in Roseville, CA and soon covered all of California. A few years later we covered all of Arizona. Over the years we have created teams to service Texas, Nevada, Colorado, Oregon, and Florida. We are always looking for the next state to grow into. If you have large commercial or utility scale sites that need washing or weeding services please do not hesitate to call or request a quote online. Our expert office and field staff work all the time, to help our customers. We are cleaning or cutting 24 hours a day over the summer months. We are one of the only companies that does cleaning and weed cutting at any time including nights, weekends and holidays. Our managerial staff has a vast knowledge and many connections in the solar industry. If we can’t do it, we probably know someone who can. Trust Shine Up Solar for your commercial, utility, residential cleaning, vegetation clearing and pest prevention needs. If you are looking for experts in washing and weeding we are writing the book. You have came to the right place. This is a new industry and we have seen more than most. Every site is a little different and are being built differently all the time. We have been in business going on 8 years and we are best positioned to do the job right the first time. We have gained the knowledge, wisdom and skill to accomplish jobs of any size from 3 million solar panels to 30 panels we have done it all, big and small. Contact Shine Up Solar today and let our expert cleaning technicians handle the rest.